With its head office in Wildpoldsried, a Bavarian village that is run on 100% renewable energy, Sonnen is Germany’s number one lithium-storage system manufacturer. Established in 2007, Sonnen works with an aim to help the world progress to energy sources free from carbon-based emissions within the next decade. In Germany, Sonnen already deploys leading-edge digital technology to interconnect thousands of people to share their excess electricity on a non-profit basis, and hopes to accomplish the same in Australia.Infinite Energy is proud to add sonnenBatterie to our product line-up, giving our customers access to one of the best battery banks on the market today. Built in Germany, the sonnenBatterie is an intelligent storage system designed to store excess solar electricity and automatically adapt the electricity usage in your household to maximise energy independence. When used in conjunction with a solar PV system, a Sonnen solar battery can help reduce your former grid usage by up to 75%, resulting in significant savings. sonnenBatterie is compatible with both single and three phase homes. How Does the sonnenBatterie Work? Sonnen solar batteries are built using Sony’s new generation of lithium iron phosphate (LiFePO4) batteries. Commonly used in smartphones, laptops and electric cars, Sony lithium iron phosphate batteries are dependable, safe and proven to perform. Offering a greater longevity and higher safety than most other lithium-ion batteries, lithium iron phosphate also stands out as the only battery component that occurs naturally and does not contain any toxic heavy metals. Designed for a lifespan of at least 10,000 charging-cycles, Sonnen solar batteries have one of the longest lives of any residential battery bank currently available. Warrantied for 10 years, you can rest assured your sonnenBatterie will supply you with renewable, free energy for many years to come, protecting your family from inevitable electricity price rises. The sonnenApp allows you to check your energy usage and production anytime, anywhere. Giving you the capability to easily monitor, analyse and control the supply and demand of your household, the sonnenApp allows you to take complete control of your energy usage. Because every household has its own specific electricity needs, Sonnen solar batteries have been designed as a multi-stage storage system that can be modified to suit the most precise and varied energy needs. Sonnen batteries can store 2kWh of electricity per unit, and can be expanded in blocks of 2kWh up to 16kW, giving you superior flexibility than competing batteries. This means you don’t have to waste money on extra capacity you won’t use, and if you decide you’d like to increase your storage in the future, you can easily do so. Like most of the high quality solar battery systems available today, RESUs require almost no maintenance. Because Sonnen solar batteries are AC coupled and come with a built-in battery inverter, they can be easily retrofit with existing solar PV systems. This means if you already have solar PV, you can install a sonnenBatterie without modifying your existing system. 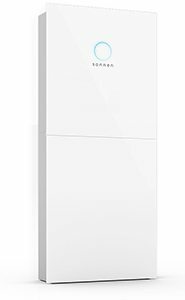 Like all the solar batteries available on the market today, Sonnen solar batteries do not come cheap and have substantial energy payback periods. For more information on solar battery technology, and if a sonnenBatterie is right for your home, simply request a no obligation callback.